Over the the past year EZManip has grown to several markets. EZManip is now being used in North America, Europe and Australia. Several industries like Clinical Research, Academia, Banking to name a few, are all industries that have adopted and still adopting EZManip. 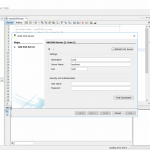 The intuitive interface of EZManip, its ease of use and time saving features are making EZManip the most attractive choice for SAS programming. 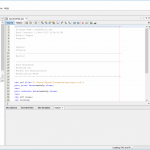 EZManip is an integrated development environment that connects to SAS and/or R to make programming a breeze. 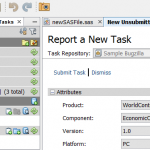 Work seamlessly on SAS and/or R projects at the same time or mixed R and SAS language within the same project. – Drag and drop files and folders to editor to insert paths. Thanks to all of you who have given us your support, feedback and/or spread the word about EZManip! Try EZManip today and discover how you could be saving time and money! My husband is a programmer, he loves your product. Good to hear you are growing. Keep up the good work! Thanks! Good to hear he loves it!